This illusion double ring appears to be two separate rings but is in fact one. 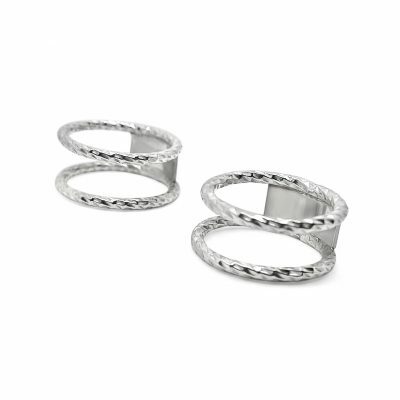 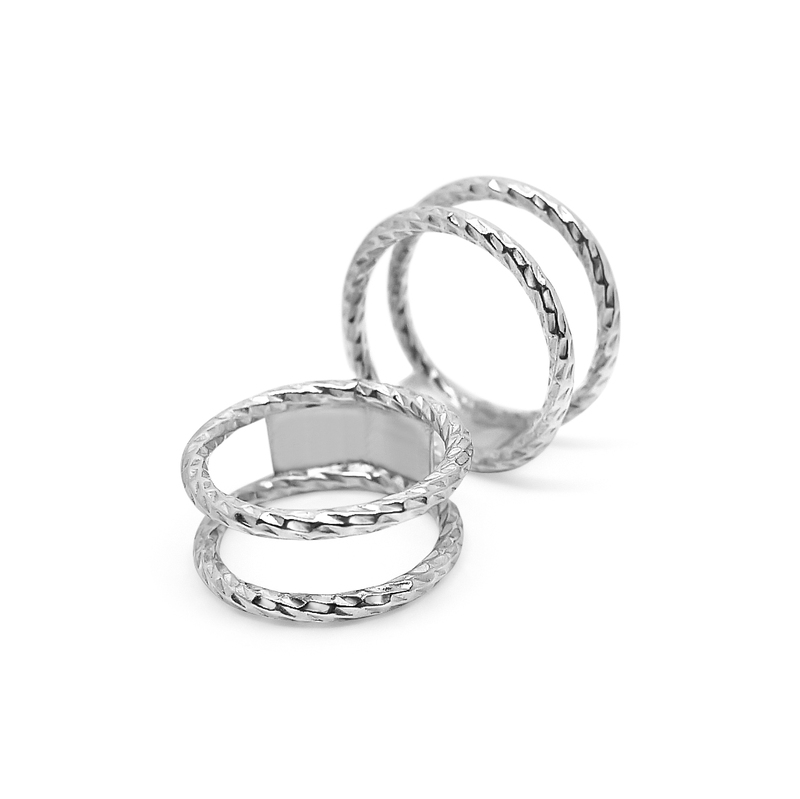 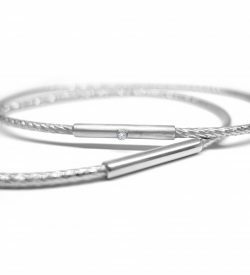 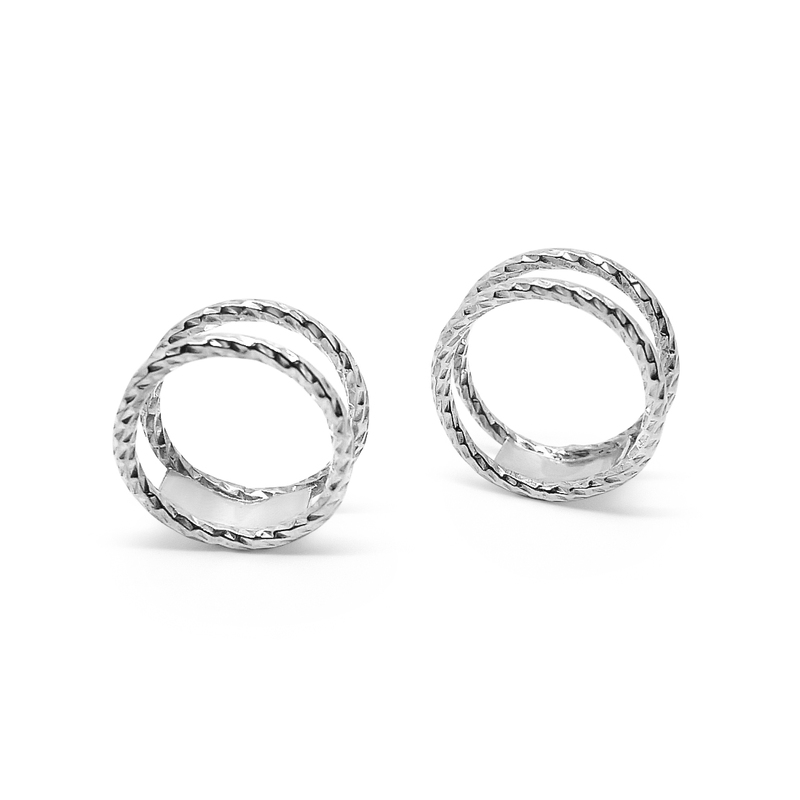 With a solid silver connection positioned at the back of the ring, helps keep both rings in position looking perfect and feeling secure. 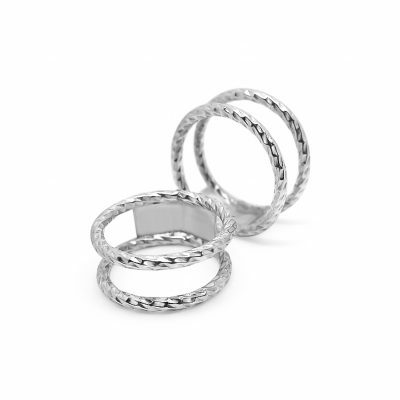 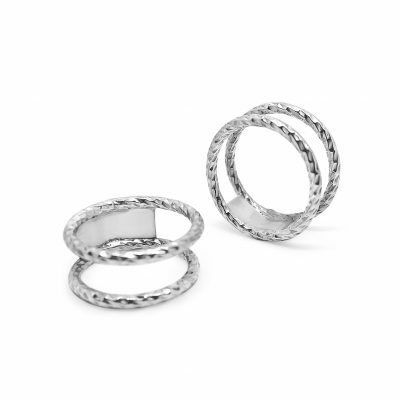 The facetted silver really catches the light, and is the perfect ring for this seasons edgy stacking look. 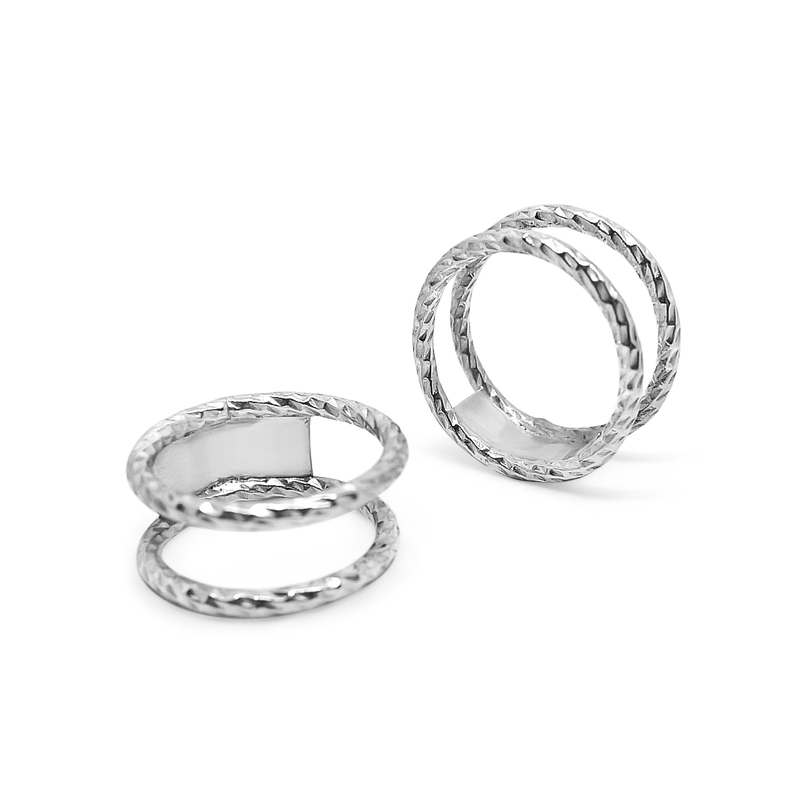 This ring can stand alone or be worn as a large spacer ring. 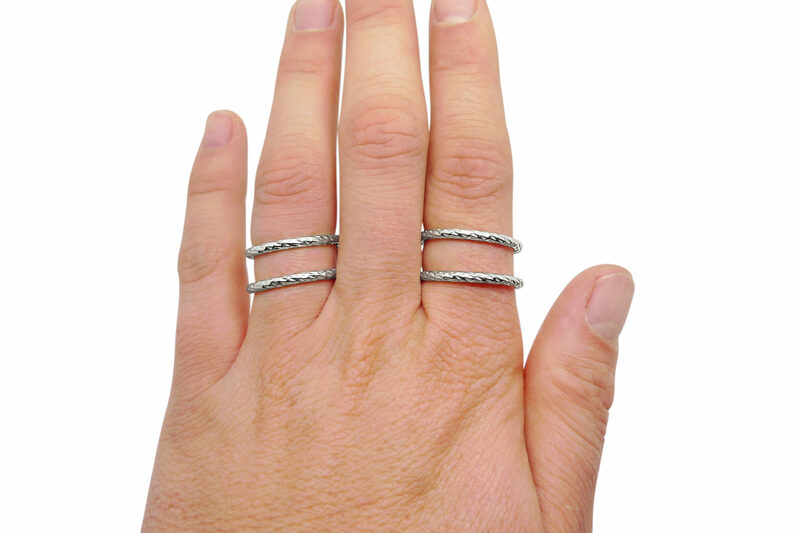 The sizing of this ring is based on the lowest ring (the one which sits at the bottom of your finger). 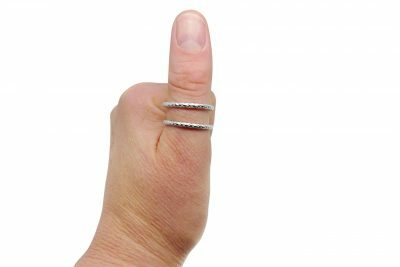 Therefore, you can simply measure your finger in the traditional way. 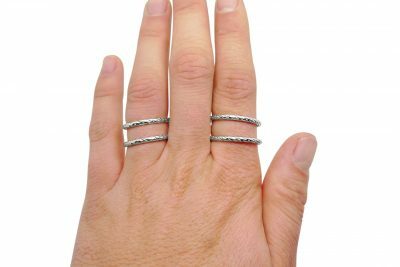 This ring is made to order, and therefore will take a minimum of 7 days to be made and delivered, please equate this into your delivery time.